On Episode 20, our hosts Antonique Smith, Rev Yearwood, and Mustafa Santiago Ali sit down with leaders working to take our communities from surviving to thriving. Each brings a unique perspective; one as a commissioner on the largest public utility in the country, and one as a longtime community organizer. 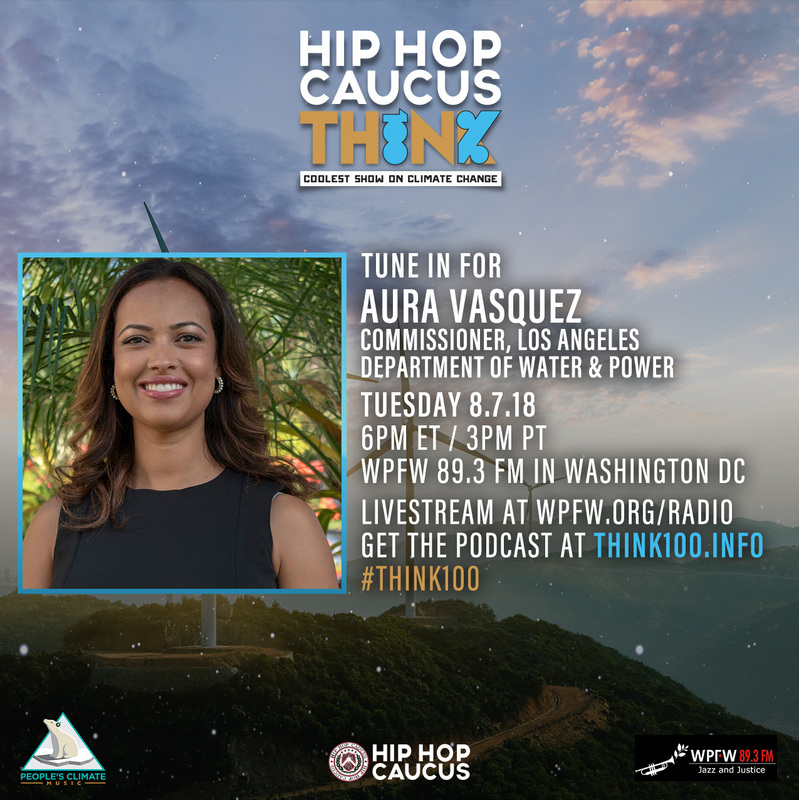 Aura Vasquez is an incredible leader, advocate, and activist for environmental and social justice issues. A native of Colombia, she brings her experiences as a Latina immigrant, a woman of color, and successful environmental leader to many issues concerning frontline communities. In May 2017, She was appointed by Los Angeles Mayor Eric Garcetti to the Board of Commissioners for the Los Angeles Department of Water and Power for a five year appointment. The Los Angeles Department of Water and Power is the largest municipal utility in the United States, serving over four million residents. 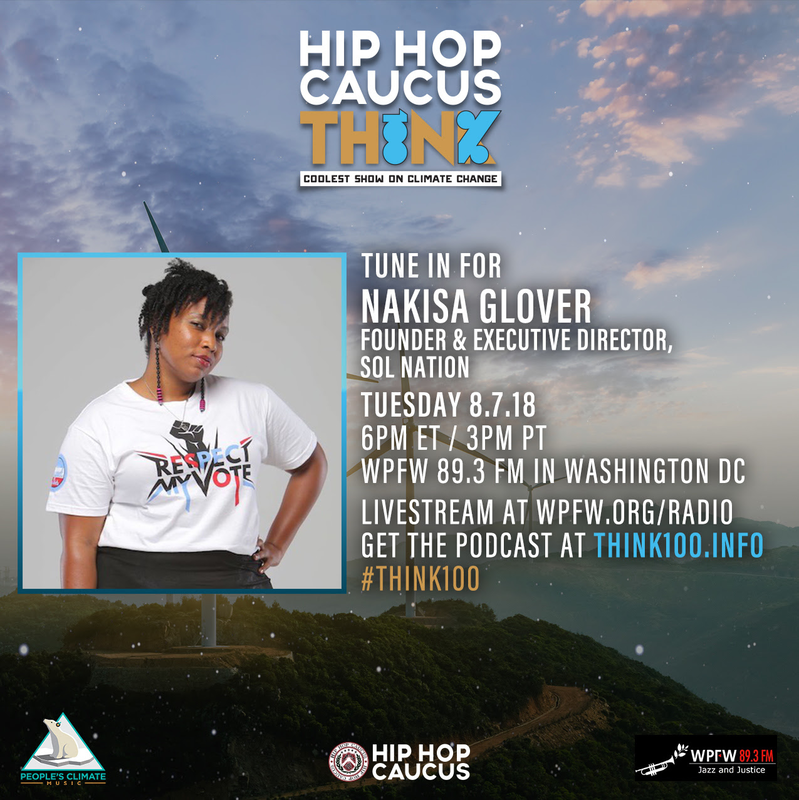 Nakisa Glover has built a track record as a community organizer from years of corporate, community and service-based work, including building a fusion movement for climate justice as the National Field Coordinator for the Justice Action Mobilization Network (JAMN). She continues to build a network to develop solutions to climate, social and economic justice by fostering relationships with small businesses, faith-based organizations, non-profits, elected officials, colleges and high schools. She recently founded SOL Nation, a local non-profit in North Carolina providing direct pathways to a just transition, resiliency, and revitalization as we move to a Green Economy. Find out more about SOL Nation here. Think 100% challenges environmental injustices and shares just solutions to climate change, including a transition to 100% clean energy for all. The show is hosted by national civil and human rights, and environmental and climate leaders, Rev. Lennox Yearwood Jr., Mustafa Santiago Ali, and Grammy-Nominated Singer & Actress, Antonique Smith. Guests include leaders from communities on the front-lines of climate change, elected officials who are boldly leading, and cultural creators and artists who are reaching hearts and minds.